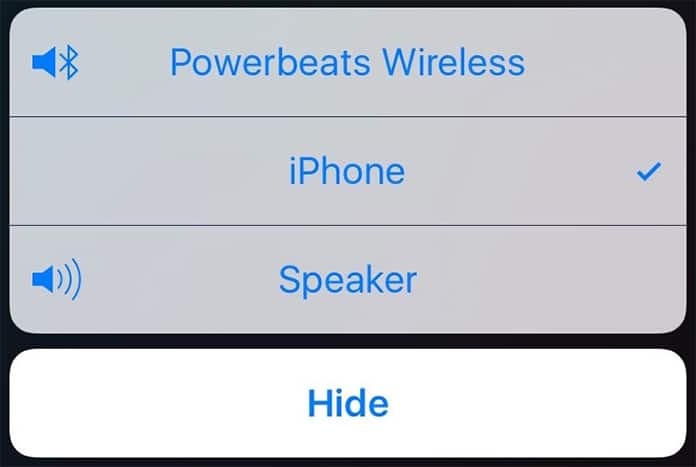 If you’ve ever connected to a mic, stereo, car speaker, or a surround sound speaker using your iPhone through Bluetooth, there may have been an instance where there was an active call on our device and you wanted to change from the Bluetooth audio to headphones or native speakers. Did you know it is quite easy to do that, and that too without interrupting the call? Without losing the audio? Without disconnecting Bluetooth device? Without having to call back or hanging up the call? Executed properly, you can change iPhone Bluetooth audio without Bluetooth disconnect or interruption. The method we’re going to discuss doesn’t switch off Bluetooth, not does it lead to disconnection. Bluetooth remains active. The iPhone is just switched from Bluetooth audio and connection to the iPhone itself. For instance, if your device is connected to a car stereo but you want to listen to the call privately. Or if you’re connected to a Bluetooth stereo and you want to transfer the call to the handset. These are the scenarios where the trick we’re going to discuss can be applied. The iPhone is currently synced to a Bluetooth supported audio device like the car stereo. Also, you have to be on an active phone call to follow these steps – whether it’s a live call or a dial doesn’t matter. 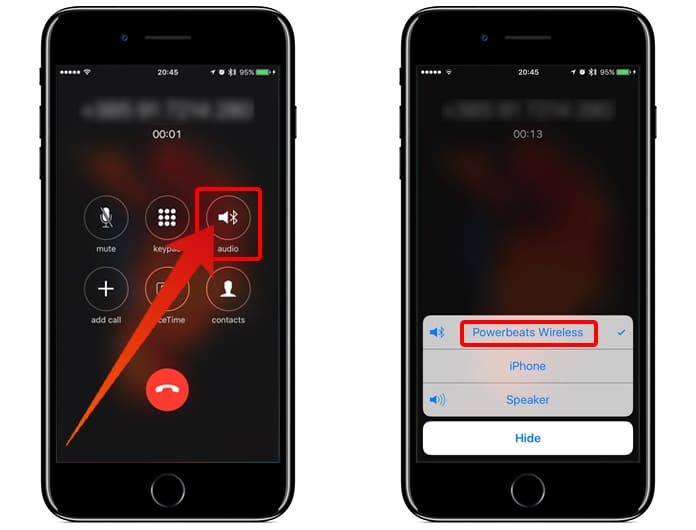 During an active phone call, ensure the iPhone screen is wake and you’re on the call screen. Tap “Audio” that presents speaker icon and a Bluetooth icon. 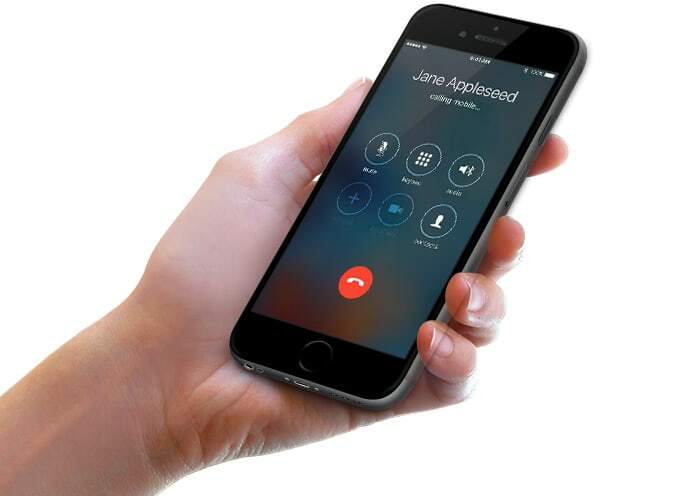 a) Option of iPhone – Switches the source of audio (output and input) to ear speaker and the standard mic, as a person would receive the call by holding the iPhone against his or her head, or have a physical headset connected to iPhone. b) Option Speaker – Switches to speaker phone from audio source to project the output from iPhone speakers. That’s about it, plain and easy. Following these steps, you’ll be able to convert the input and output of iPhone audio to whatever the Bluetooth connection to the iPhone handset itself is. As you can notice, the “Audio” button replaces “Speaker” button during an active phone call and sync with a Bluetooth audio device on a speaker. Done well, the audio changes, without interruption in the call or audio, and it should be unnoticeable judging from other party’s perspective. The only thing they might notice is a change in sound quality depending on the variation between built-in iPhone speakers and Bluetooth enabled device. What are your thoughts? Do you have any other way of accomplishing this? Feel free to leave comments.